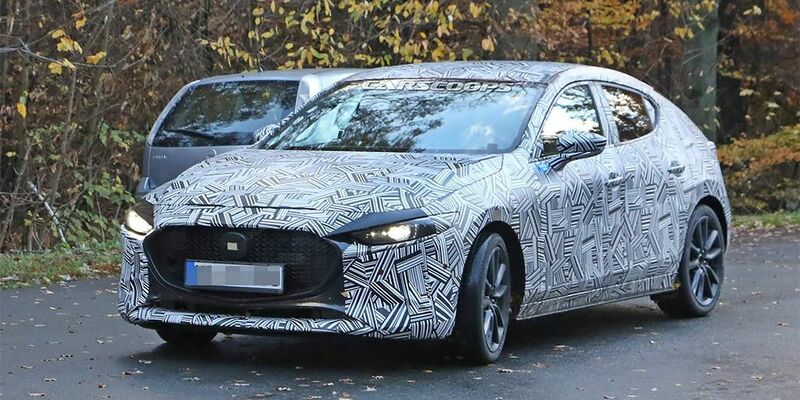 The Japanese brand is testing the Mazda3 hatch third generation. Carscoops first spotted the car inside. Mazda3 will have a new 'tidy', a different sensor and leather chairs. Perhaps the driver will be able to reconfigure the dashboard himself, choosing from several options a specific configuration that suits him. Photos hint that with the change of generation Mazda3 will keep the same steering wheel, buttons, and switches. With the hatch design, it hints at the future development of the KODO brand style. New appearance will remind the prototype Kai 2017. For example, the serial car will get the rear pillars of similar shape, tilted tailgate and LED lights behind the narrow form. Preliminary information states that among the engines there will be units of the SkyActive-X family - these will be the first mass gasoline ICEs in the world with compression ignition. The debut of the novelty will be held this month at the Los Angeles Auto Show.